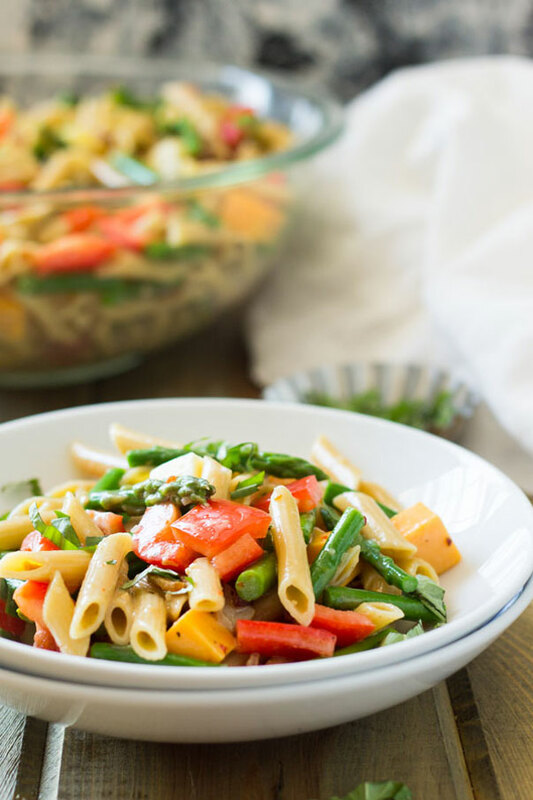 This Penne and Asparagus Pasta Salad is fresh, full of flavor and easy to make. 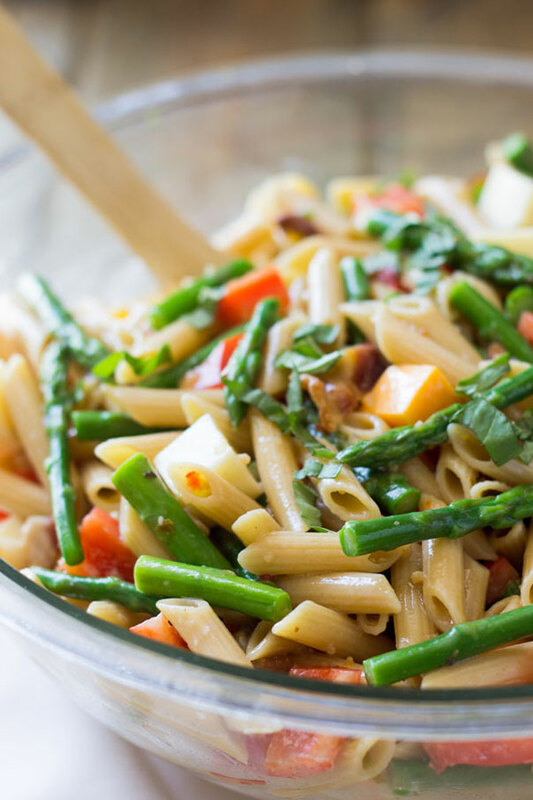 It features crisp asparagus, tender penne pasta, smokey bacon and a handful of other ingredients. It makes a large batch so it will be perfect for you to take to your summer gatherings. You will start by cooking you pasta and while that is boiling fry your bacon until it is crisp and drain on paper towels. 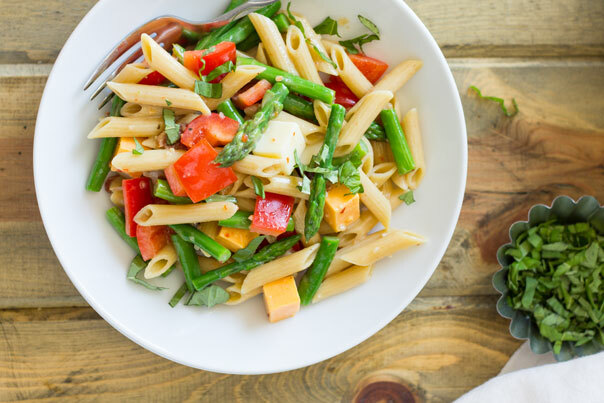 When the pasta is almost finished you will add in the asparagus. This will cook it just slightly and it will still be crispy. When it is done you will need to rinse the pasta and asparagus in cold water to stop the cooking process. Toss this with the other ingredients and store in the refrigerator for a few hours to soak up the wonderful goodness. Just before serving stir in the basil. Enjoy! In a large pot bring water to boil. Add in the pasta and cook according to directions on the box. In the last 3 minutes of cook time add in the asparagus. Drain immediately and rinse in cold water until pasta is cooled. While pasta is cooking fry bacon until crispy. Drain on paper towel. 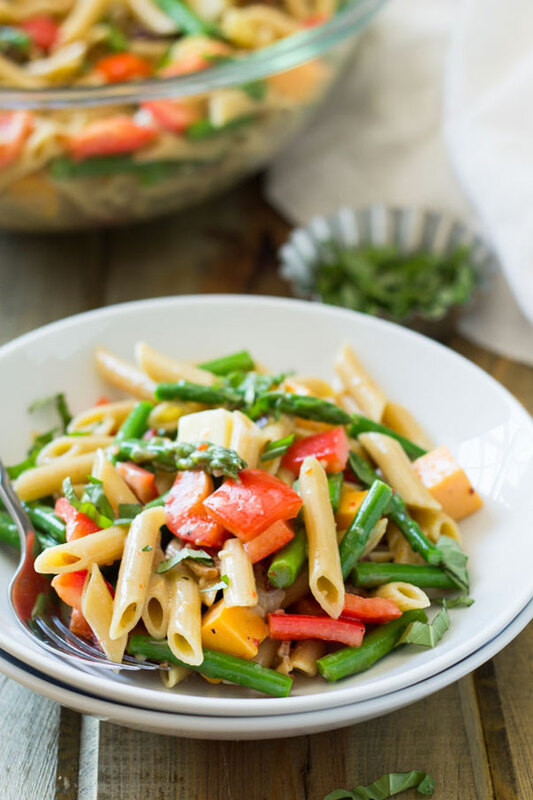 Combine the pasta, bacon, bell pepper, cheeses and dressing in a large bowl. Refrigerate for at least 4 hours and up to 24 hours. Just before serving stir in the basil.